A general rule when serving hot pot is to keep the broth bland and the dips spicy. The beauty of this combination is that it allows guests to season the food according to their own taste. On the other hand, there are no hard and fast rules. Feel free to adapt the basic broth recipe as desired. Combine the water and beef bouillon and bring to a boil. Turn down to a simmer and add the white wine, soy sauce, green onion, and ginger. Transfer enough broth so that the fondue pot is approximately 2/3 - 3/4 full. 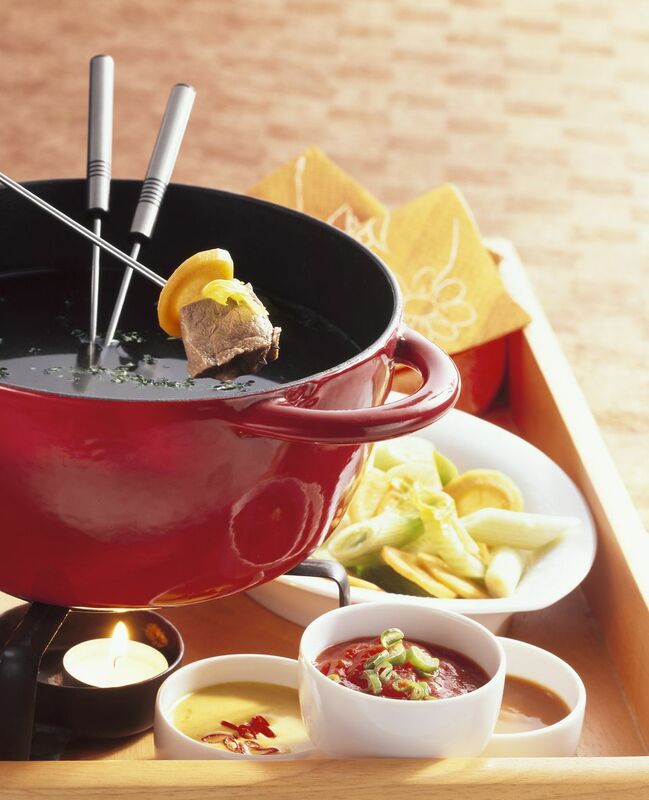 (How much broth you need will depend on the size of the fondue pot). Use dipping forks to cook the food in the hot broth, and then dip in the sauces as desired.